The San Diego County Water Authority’s Board of Directors in August 2018 gave conditional support to current plans for California WaterFix, the state’s $17 billion proposal to address water supply constraints in the Sacramento-San Joaquin Bay-Delta. The Board made its backing contingent on a project financing plan that treats San Diego County ratepayers fairly through the proper allocation of project costs by the Metropolitan Water District of Southern California, the sole source of Bay-Delta water for the San Diego region. The Water Authority Board of Directors supports the WaterFix project, as currently proposed, conditioned upon the Metropolitan Water District (MWD) properly allocating the costs of the project as conservation, or supply charges, as similar facilities historically have been defined in MWD’s SWP contract with DWR. As reflected in Table 2 of DWR's Appendix B to Bulletin 132-17, Data and Computation Used to Determine Water Charges, and for which costs are recovered in Article 22 (a) of Delta Water Charge of the current MWD SWP Contract, allow for the exemption of north-of-Delta SWP contractors. Support establishment of an independent oversight function to monitor and provide regular updates on WaterFix project implementation progress, including expenditure tracking, construction progress, project participants’ contributions, and all other relevant activities and developments. Continue to support the co-equal goals of water supply reliability and environmental restoration embodied in the 2009 Delta bill package. Improve the ability of water-users to divert water from the Delta during wet periods, when impacts on fish and ecosystem are lower and water quality is higher. Encourage the development of a statewide water transfer market that will improve water management. Allow access to all SWP facilities, including WaterFix facilities, to facilitate water transfers. Support improved coordination of Central Valley Project and State Water Project (SWP) operations. Support continued state ownership and operation of the SWP, including WaterFix facilities, as a public resource. Click here to view a printable version of the updated policy principles adopted by the Board of Directors in 2018. The updated policy principles adopted by the Board also promote independent oversight of project finances and construction progress, along with continued state ownership and operation of the State Water Project, including WaterFix facilities. For decades, the Water Authority has actively assessed a variety of potential solutions to complex ecological and water supply issues in the Bay-Delta, the largest estuary on the West Coast and the hub of massive state and federal water projects that serve tens of millions of residents. Consistent with state policy, the Water Authority also has drastically reduced the region’s reliance on water from the Bay-Delta. While it remains uncertain how MWD will recoup its costs, the decision to build the WaterFix project has been made – by MWD and other project proponents – and the Water Authority’s focus now moves to how the project will be funded. Bay-Delta water supplies are delivered to San Diego County only by MWD, which purchases the water from the state. If MWD recoups its WaterFix costs as water supply charges – in keeping with the state’s historical approach to similar projects – the Water Authority would be responsible for as little as $73 million, according to current estimates. Local costs could soar to as much as $1.8 billion if MWD instead allocates WaterFix costs entirely on transportation charges, because the Water Authority is the only agency that uses MWD’s transportation system to transport large volumes of independent water supplies. While San Diego County also has received significant amounts of water from the Bay-Delta historically, the volumes have dwindled significantly due to regulatory constraints and the Water Authority’s successful plan to develop locally controlled, drought-proof water supplies and reduce its purchases of water from MWD. 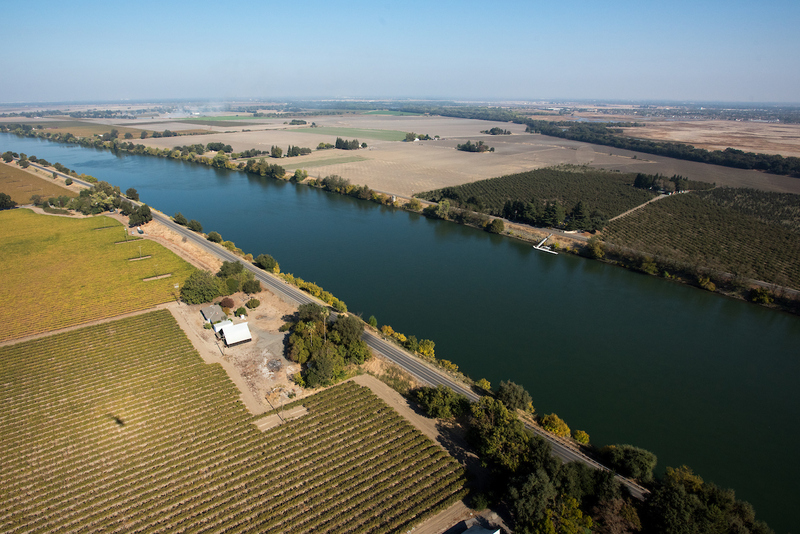 Those efforts are in keeping with the state directives to decrease dependence on the Bay-Delta for meeting California’s future water supply needs. Over the past several years, the Water Authority has conducted one of the most exhaustive Bay Delta Conservation Plan and WaterFix reviews of any water agency in the state, with dozens of Board presentations and public meetings on the topic. The Board heard from an array of stakeholders and experts, including Bay-Delta community leaders and elected officials, farming interests, state agencies, independent economists, environmental groups and others.